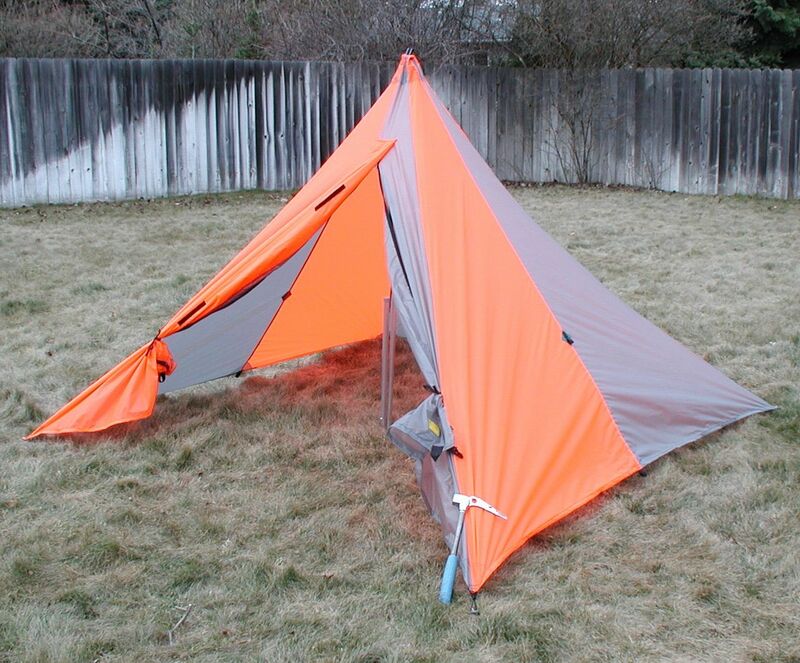 Stake out the four corners. 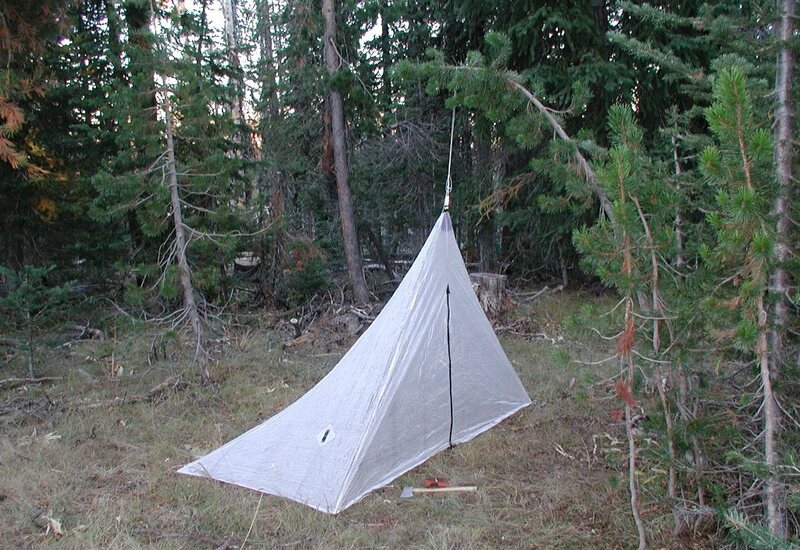 Use a small loop of replaceable cord so wear from rough stake edges will not damage the tent web tie outs. 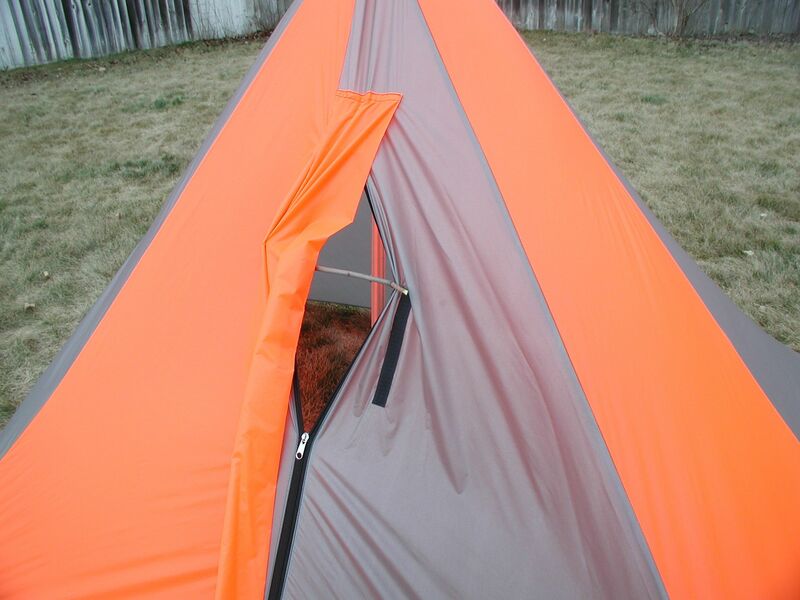 Stake corners in a perfect square and slightly stretched. 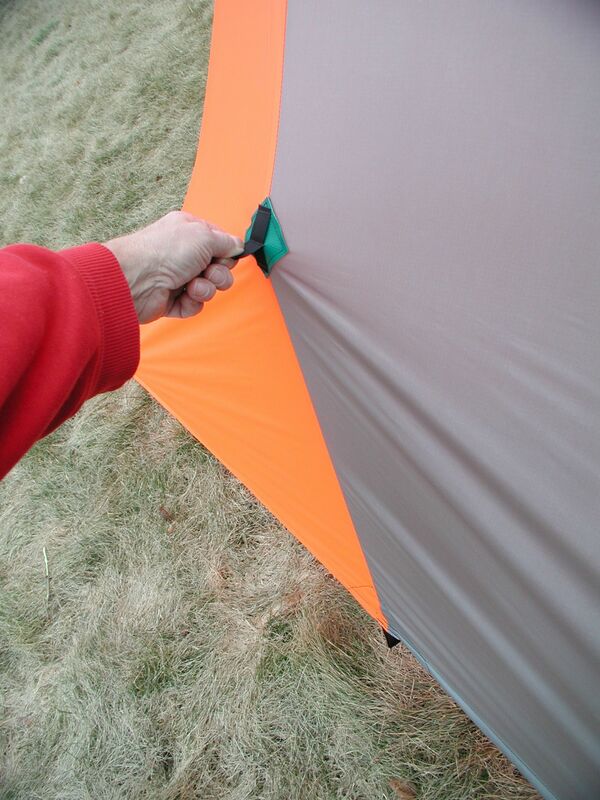 This prevents a diamond staking pattern which will cause one corner to be up in the air. 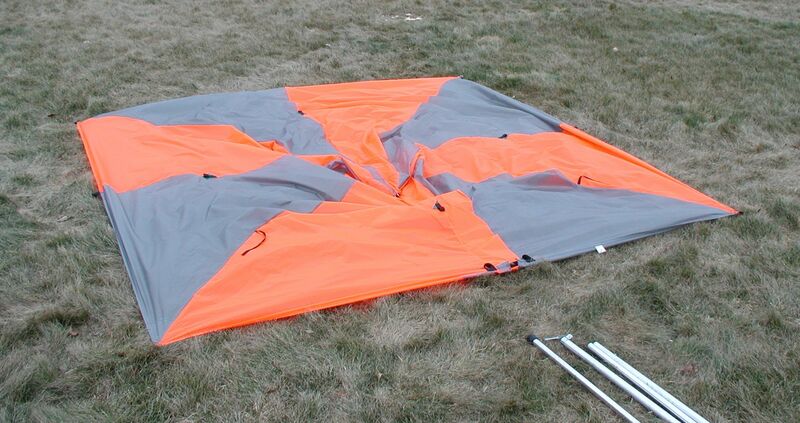 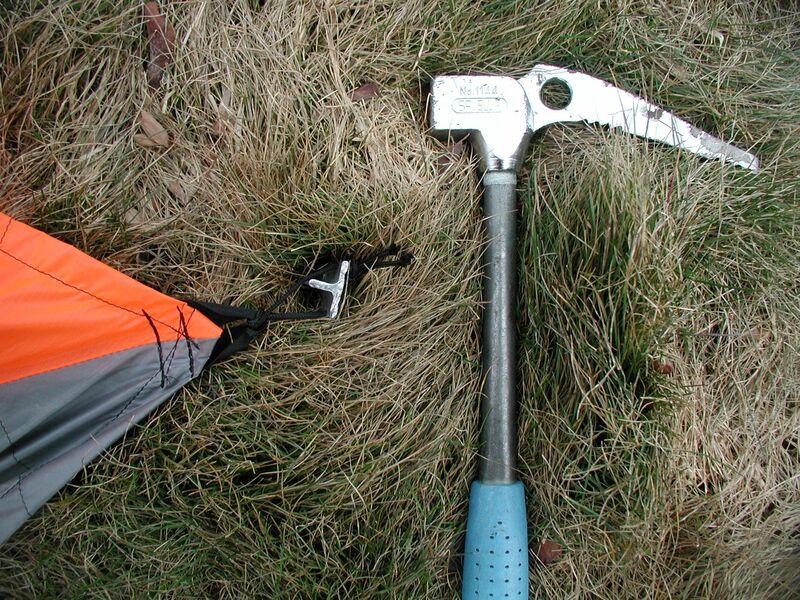 Additional tie outs can be staked around the hem and the upper center tie outs can be used to gain headroom in windy or heavy snow conditions. 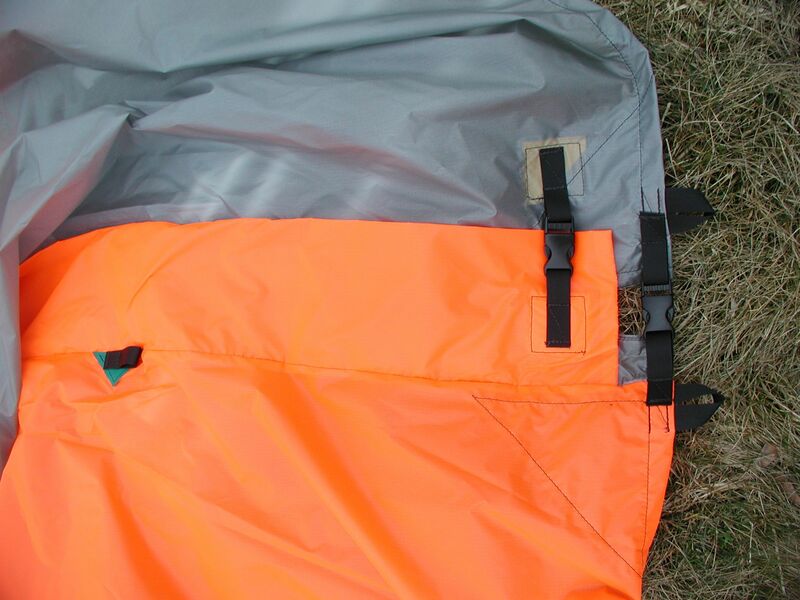 Some extra ventilation can be gained by zipping the top zipper slider down and holding the door apart carefully with a stick. 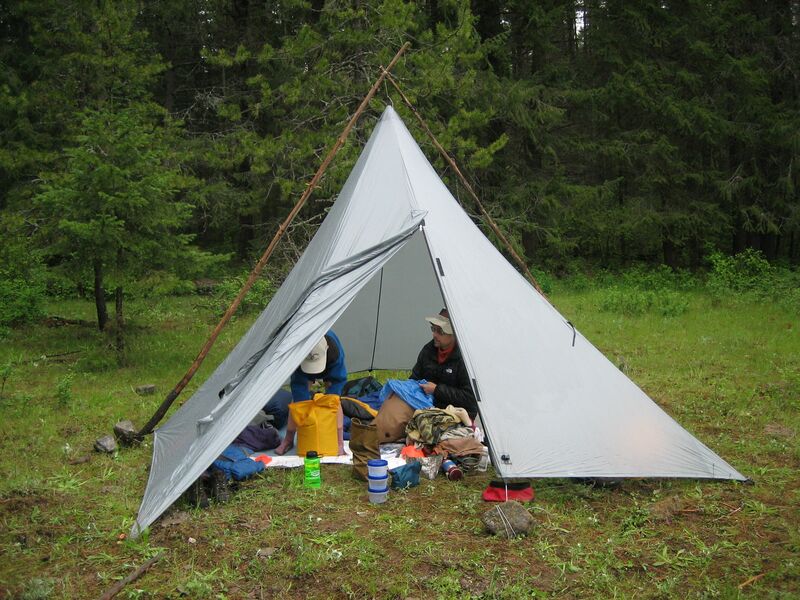 A green branch can be used instead of a tent pole sometimes. 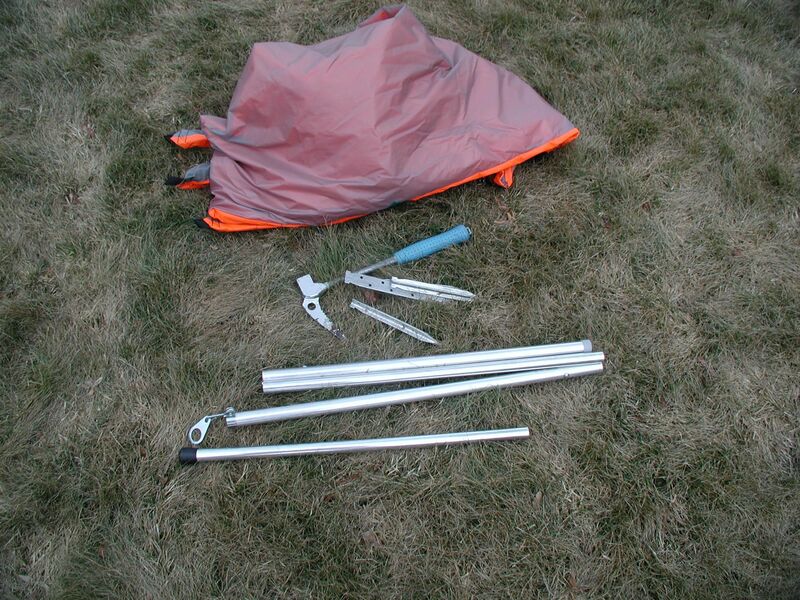 Two wooden poles can be lasted to hold the tarp up from outside.